Area of origin: Sicily, South Italy. 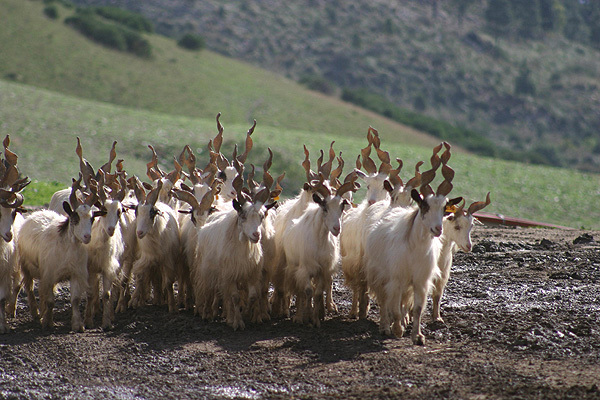 The mighty corkscrew-like horns of the Gargantuan goat show the connection to its ancestors, the Markhor Wild Goat from the high mountain area of Afghanistan. 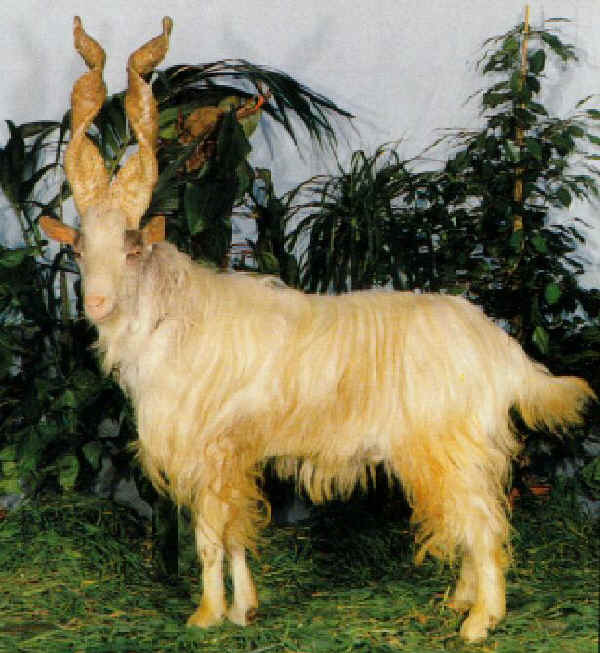 This breed is reared in the provinces of Agrigento, Enna, Catania e Palermo (Sicily). Uni coloured: white, occasionally brown spotted face. Girgentanas were mainly kept for their good milk performance (up to 3 l/day). The most striking characteristic feature are the erect corkscrew-like shaped horns, measuring 50 cm and more. The rams have a beard. The profile is slightly convex. The fleece is longhaired and white. Girgentanas are of medium size. They lamb for the first time at the age of 15 month. Afterwards, they show oestrus behaviour every 20 days and produce 1.9 lambs per year. The milking yield is outstandingly high (milk yield per lactation: 400-450 kg).